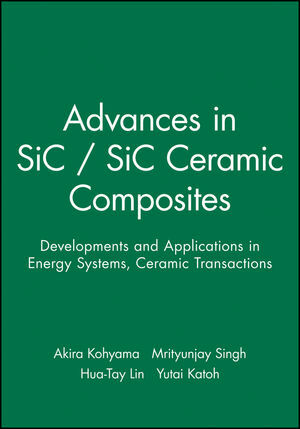 Akira Kohyama is the editor of Advances in SiC / SiC Ceramic Composites: Developments and Applications in Energy Systems, published by Wiley. Mrityunjay Singh is the editor of Advances in SiC / SiC Ceramic Composites: Developments and Applications in Energy Systems, published by Wiley. Hua-Tay Lin is the editor of Advances in SiC / SiC Ceramic Composites: Developments and Applications in Energy Systems, published by Wiley. Yutai Katoh is the editor of Advances in SiC / SiC Ceramic Composites: Developments and Applications in Energy Systems, published by Wiley.